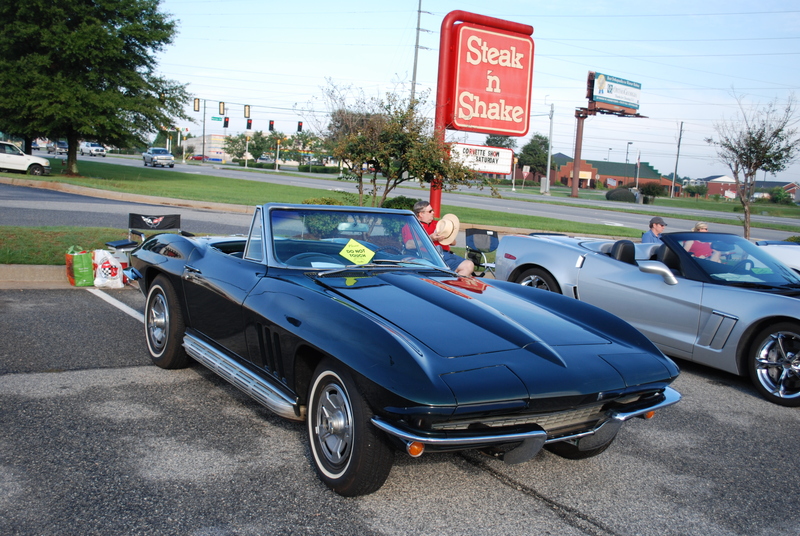 I purchased my 1965 Corvette while stationed at Sheppard AFB Texas. I bought it June of 1980 as a complete basket case. I took a couple days of leave and put as much of the car together as I needed to be able to pull it on a trailer. Front suspension, rear suspension, engine& transmission were installed first then the body with only a steering column in place so that I could steer the car getting it on a trailer. Once I got it home it took another 6 trips to get all the boxes of parts home. Doors, convertible top, and hard top were all in one trip then bunches of boxes. I worked on assembling the vehicle to get it in running condition. Three years later I was able to start the motor and wet the brakes so that I could start it and move it under its own power. Ever since then I have been replacing all the old or broken parts so that I could get it completed. It has been 34 years and I’m still not done but I have a plan and I’m sticking to it.